Every coin has two sides, so do iPhone update. Yes, to upgrade to iOS 10 is a great thing for more convenience. When you updating to iOS 10, You may suffer from some data loss like, Notes, Reminders, etc. For most of reminders on iPhone is linked closely with daily life which makes daily schedule or set alarms to inform of important calls, appointments. Once you lost some calendars after updating to iOS 10, there is no doubt that you will want to recover these lost reminders on your iPhone. The traditional way to retrieve lost iPhone reminders after updating to iOS 10 is restoring from iTunes or iCloud backup, which means all iPhone data will be replaced by the contents in the backup. That’s not recommended if you just want to restore one or two reminders. 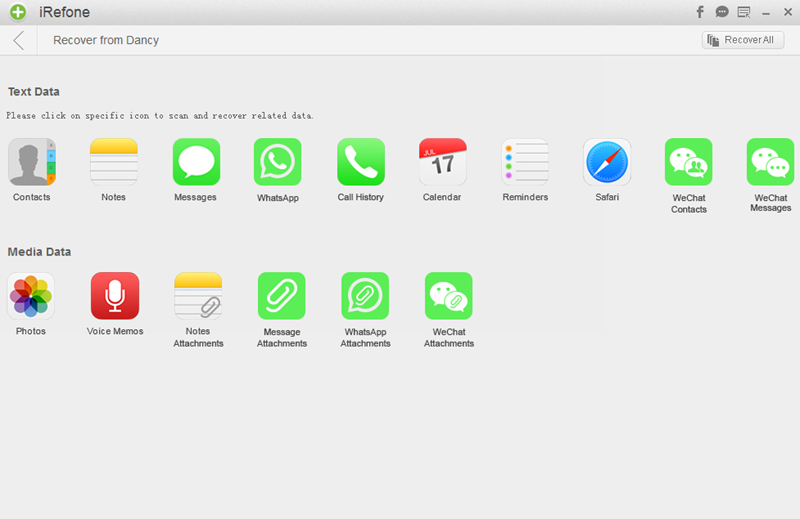 To selectively recover lost iPhone reminders without restoring, you can try iRefone. It is a trustworthy iOS 10 data recovery made to save your lost but important iPhone content. 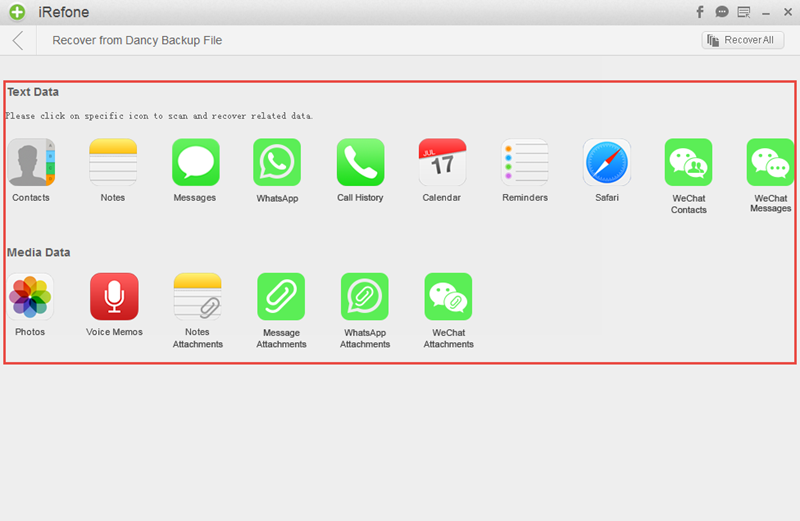 -It allows you to recover lost reminders from iPhone 4s/5/5s/6/6s/se/7 even you have no backup due to various reasons. 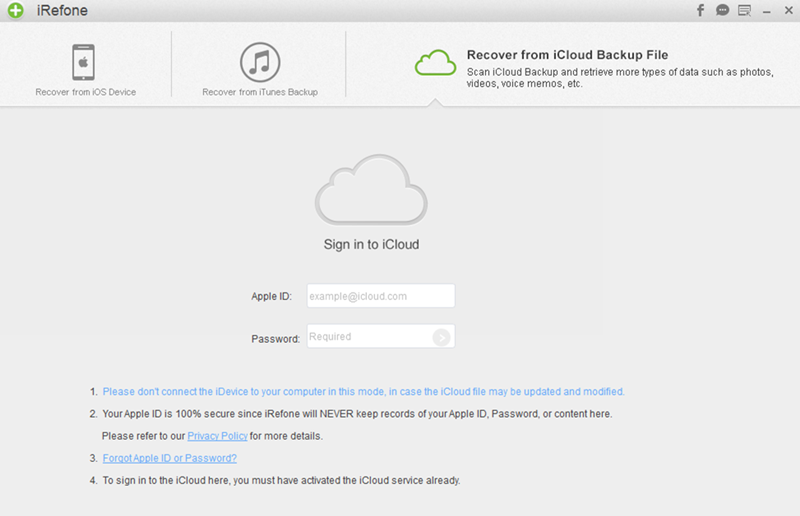 -You can also retrieve reminders on iPhone from iTunes or iCloud backup without restore. -You can preview and select lost reminders you need before recovery. 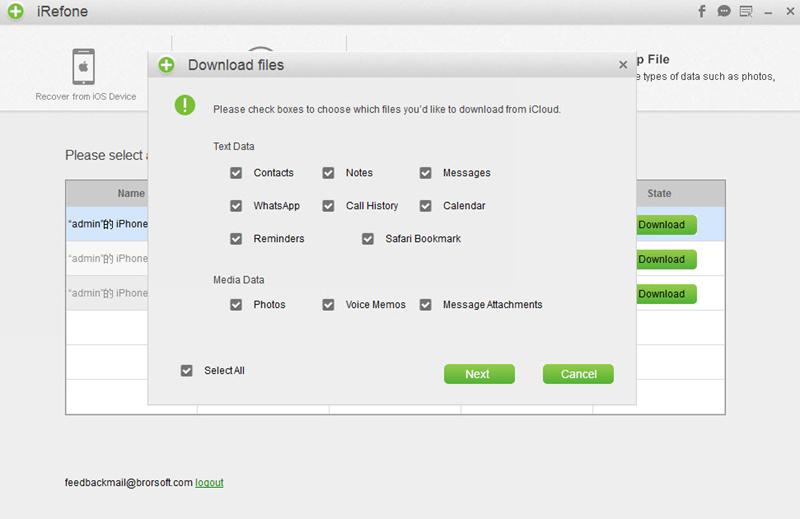 -It supports recovering 160+ types of iOS content like reminders, contacts, notes, messages, call history, photos, etc. Download and install the software to get to know how to recover lost iPhone reminders after updating to iOS 10. 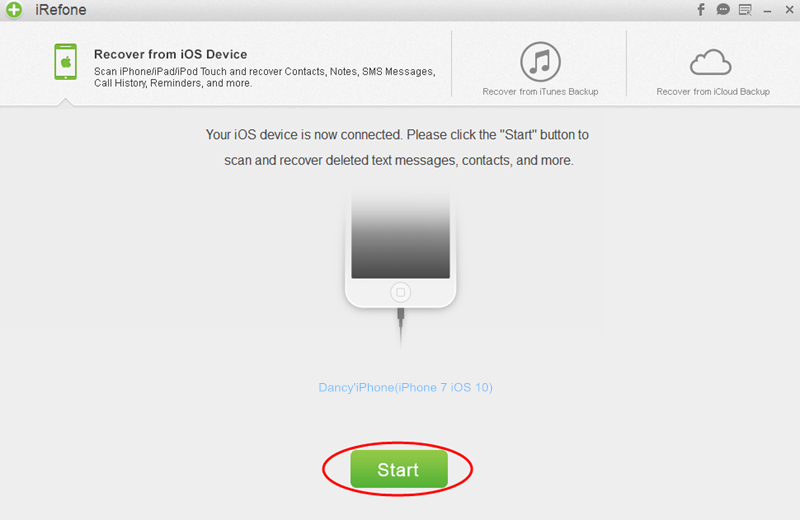 Step 1: Launch iRefone and connect your iPhone with computer, then the software will detect the device automatically. Click “Start” to go on. Step 2: Then you will enter the interface to ask you choose the data you need to scan. Choose the icon of reminders you want to preview to start the process of analysis and scanning your iPhone. Step 3: When the scanning is finished, all of reminders on your iPhone will be displayed in the software, including these deleted one. You could preview them one by one and choose what you need to recover to PC. 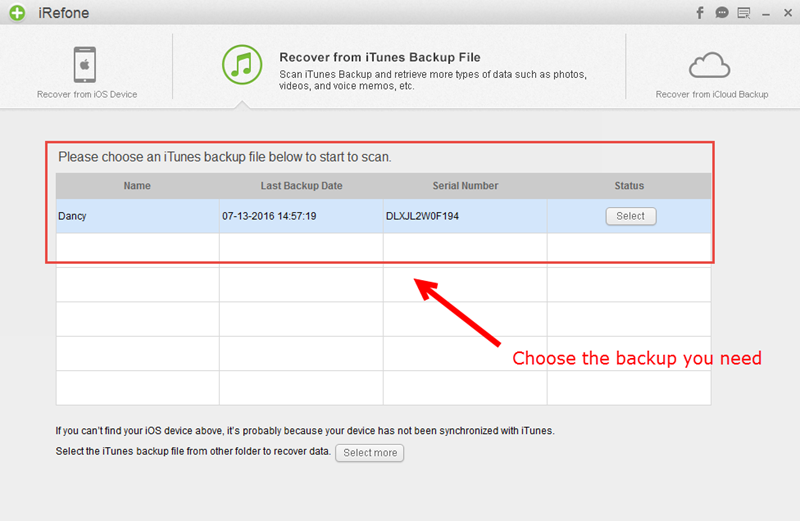 Step 1: Choose “Recover from iTunes Backup” as the recovery mode. There will be some backup files listed on the interface. 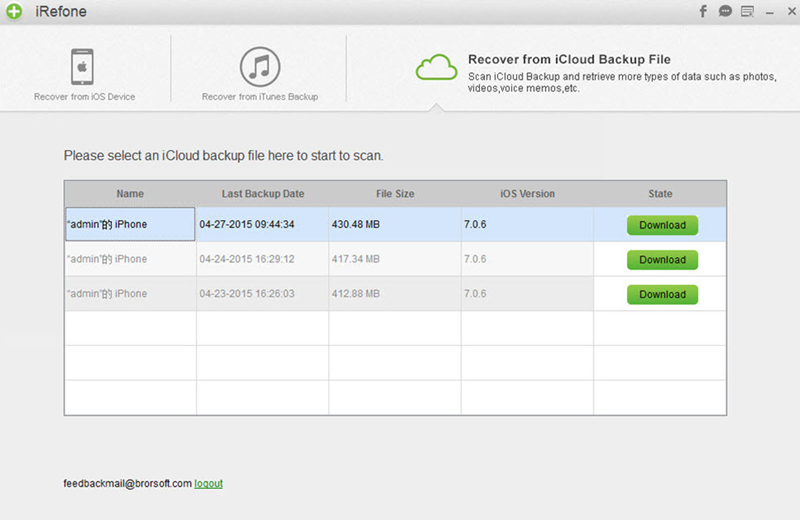 Choose the backup you need, click on “Select” or double click it. Step 2: Choose the reminders you want to preview in iTunes backup, click on Reminders icon and the software will automatically scan and analysis your file. Step 3: After preview reminders in iTunes backup, you could select the reminder you need and save them as you like. Step 3: Once you click “Download” button, it will not start downloading directly. It will ask you select the data you want to download from the backup. This will need less time than downloading the whole data. Just choose the data you need. Step 4: When the downloading is finished, it will ask you choose the data you want to preview as other two recovery mode. So, just choose Reminders you need and click on the icon. Step 5: Preview the reminders in the interface after the scanning finish. Choose these reminders you need to recover to PC.